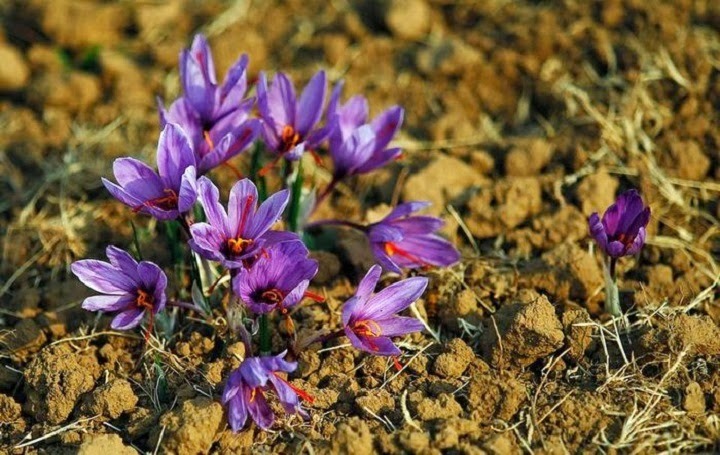 Saffron is one of the rarest and most expensive spices in the world today. The going retail rate of saffron can cost around $5,000 per pound! If that sounds like an exorbitant amount of money for a spice, it is. Like an exotic truffle, rich caviar or a fine bubbly, some things in life are strictly reserved for the rich and famous; or in this case, true spice lovers. It’s usage as a spice dates back centuries; even being mentioned in the Bible. For many of us, including myself, it’s hard to understand what makes the Crocus sativus flower and it’s saffron so desirable…Until now. Just what is saffron? Why is it so expensive? And what on earth is it used for? Let’s find out.